Two months till the start of Kamailio World Conference & Exhibition 2015. Prepare yourself for three days full of interesting presentations and demos during May 27-29 in Berlin, Germany! With the accelerated propagation of LTE and hot discussions about what 5G is going to be, definitely VoLTE is a top topic these days. 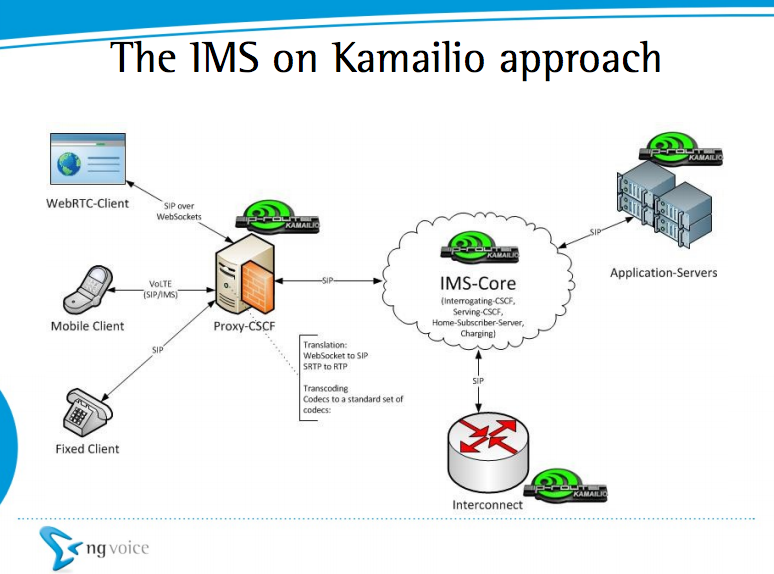 Kamailio has a consistent set of IMS extensions, making it one of the most flexible options to consider for rolling out VoLTE platforms, already with live deployments in Europe, Asia, Africa and South America. Kamailio World is the place where you can play with VoLTE yourself, FhG Fokus, Core Network Dynamics and NG Voice are preparing a testbed on site with a local LTE network and a Kamailio-based VoLTE platform. Bring your VoLTE capable device (e.g., iPhone 6 or most of the latest models with Android from Samsung, LG, Huaweii …) and experience yourself the technology of your calls in the near future, with high definition voice and proper integration with other IP based services, including WebRTC. Don’t forget to check the other presentations, workshops and exhibitors, it is going to be one of the best events for real time communications and open source in Europe. Registration is open, be sure you secure your participation before the event is sold out!